Do you ever sit grinning at your screen, catch yourself and then realise why? 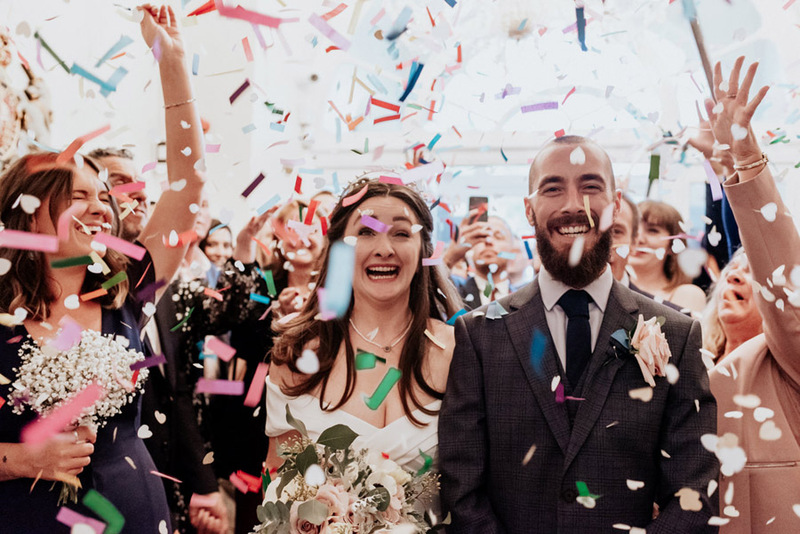 That’s me this morning: I’ve been scrolling through all the lovely images from Vanessa and Andy’s Bristol wedding – and I can’t stop smiling! This gorgeous couple married back in June with a ceremony at The Mansion House, followed by a trip on the famous Bagheera ferry and then wedding breakfast reception at the Riverstation… and lucky for me, and for you, they took lovely Bristol wedding photographer Joseph Hall along with them! I adore Vanessa’s delicate white lace wedding dress, her flower crown and the way she smiles at Andy – there are such lovely moments here and I keep scrolling up and down the images to take it all in… The wedding day was a real treat for guests as well with laughter and friendship in everyone’s eyes as they travelled on the ferry (with Bristol Packet Boat Trips) – do grab a cuppa and take the time to read through the full blog post with me… it’s fabulous.